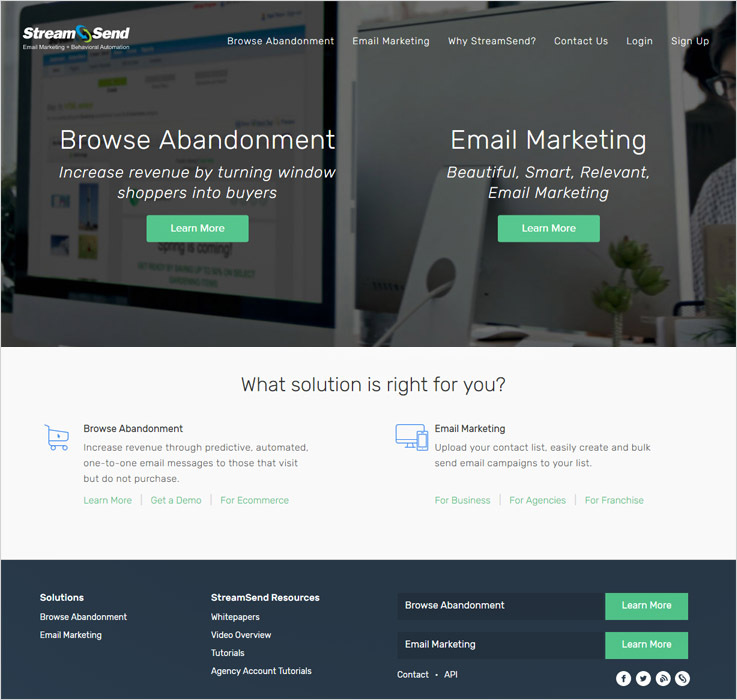 Are you looking for some of the best email marketing service providers? Email marketing is one of the best ways to send emails to your clients in order to foster or maintain the interest in your service or product. Email marketing services will let you increase your sales, customer acquisition, customer engagement, brand awareness, customer retention, and loyalty. Automated emails, newsletters, special offer messages are some of the best examples of email marketing services. Also, to help you with the smooth functioning of your WordPress theme, Free WordPress Email Marketing Plugins will prove fruitful. By making use of email marketing services, you can receive email statistics, design your own email templates, and manage subscription list. MailGet Bolt – is the most affordable email marketing service at present. With it, you can create and send bulk email to the number of customers at the same time with guaranteed inboxing & high open rates. Email scheduler is one of the best attributes of MailGet Bolt, here you just have to set the date & time of the email that you want to send in the customer’s inbox and remaining will be done automatically. The software is trusted by thousand companies across the globe. With drag & drop editor, you can design gorgeous email campaign. Seamlessly connects your service with other apps. Social media integration in your templates. Easily track your campaign and see open rates, click rates etc. With few clicks, manage your contact list. Provide ready made responsive email templates. MailGet Bolt would be a great pick for everyone who has either low budget or not, they provide advanced functionality at very cheap price with 99% inboxing performance. If you want to increase open rate (well, I got 43.64 hike up!) and boost your sales then I would recommend MailGet Bolt which allows you to send unlimited emails at $42. 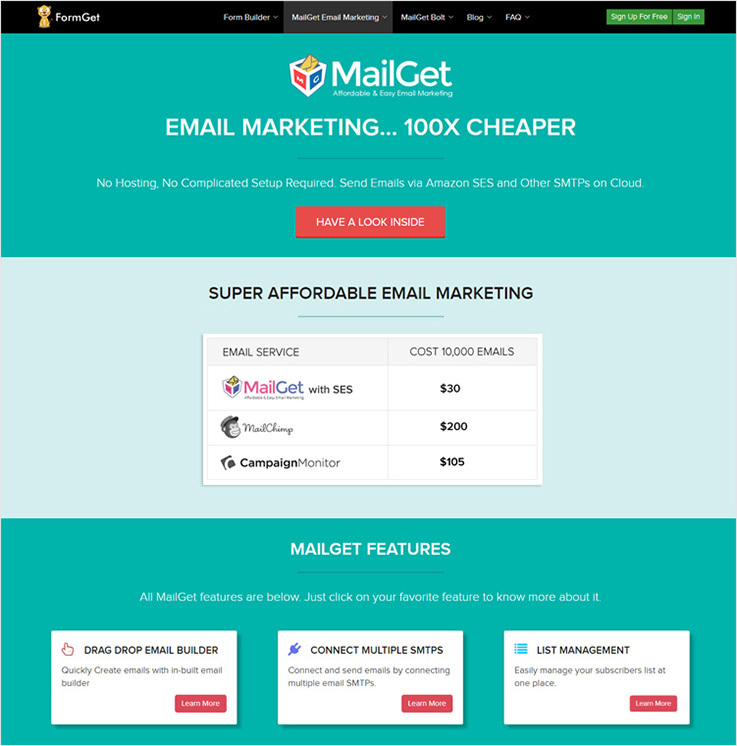 MailGet Bolt gives the phenomenal pricing plans as you can try and test the service in FREE for 30-days. The pricing start from $42 per month through which you can send unlimited emails to 10,000 subscribers and the ending plan is $369 per month for unlimited emails to 100,000 subscribers. Note – If you go with the yearly plan of MailGet Bolt than your use this email marketing service FREE for 2 months. i.e you only have to pay for 10 months. 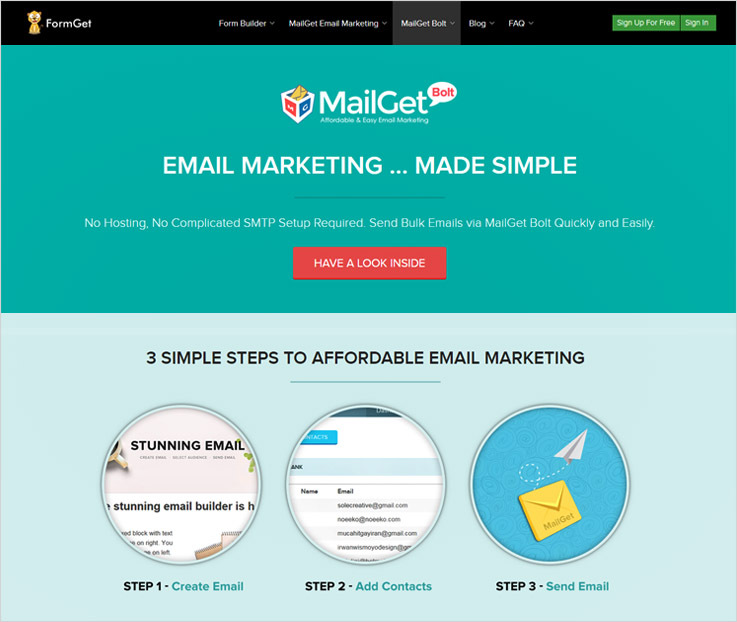 MailGet is one of the cost-effective email marketing service in the world. The email marketing tool is extremely easy to use where you will find some WYSIWYG email templates that you can send to the customer with 100% inbox delivery and high open rates. The thing which makes the service unique for other is that here you can effortlessly connect multiple SMTPs servers which will results in high DELIVERABILITY rate of emails. 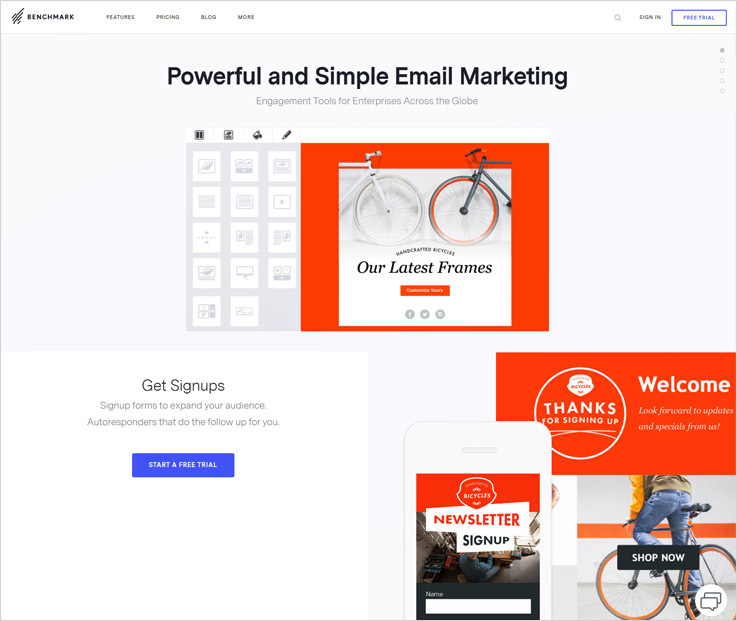 Design attractive emails with drag & drop editor. Get prebuilt free email templates and customize them according to yourself. Automatically send a follow-up email, if your customer did not read your emails. Configure email which triggered at a specific time. Automatically change the look & feel of the email templates according to the gadgets. I have dabbled in a couple of email marketing software and found MailGet fabulous than any other software. It is quite amazing service and I am really impressed with this software so far. The best thing that I got from this software is – it supports multiple SMTP server integrations through which you can send unlimited emails by just paying $4. The software gives an FREE trials package to its customers all you just have to do is to get registered into it and start taking the advantage of this amazing emailing software. The CHEAPEST plan of this service starts from $4 annually ($5 on monthly basis) where you can send unlimited emails to 7500 subscribers. And the HIGHEST plan cost if $560 annually ($672 on monthly basis) which allows you to send unlimited emails to 1,000,000 subscribers. Other than these plans there is a variety of pricing package that you can select according to your suitability. Note – MailGet offers both monthly and yearly plans. 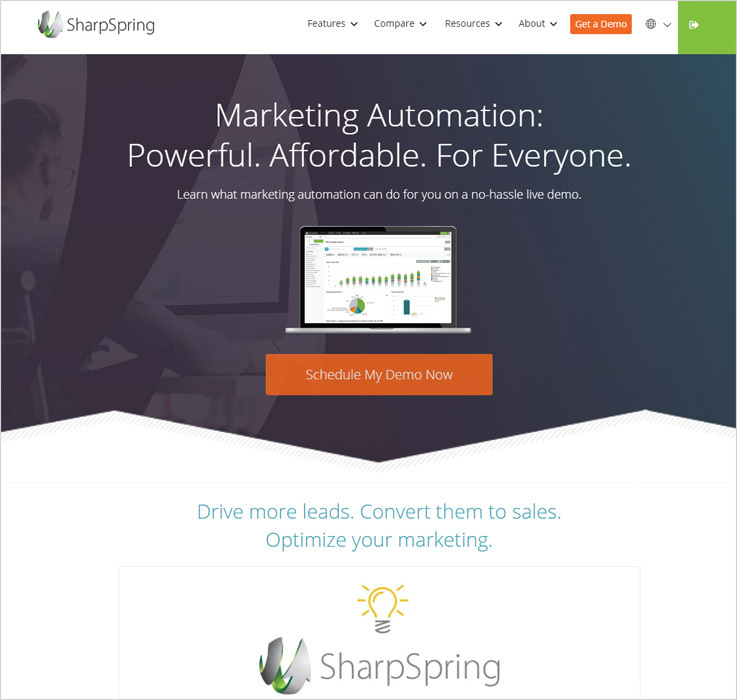 SharpSpring is a leading service provider that offers email and mobile marketing service globally. By making use of SharpSpring, you can create, send, and track your email campaigns at your fingertips. SharpSpring has gained more and more popularity over the years. They support newsletters, email campaigns, and mass emails. Using SharpSpring, you can deliver all your mails in bulk without configuring or installing mail servers. By making use of the software, you can send hyper-personalized emails. Update and build forms within minutes with drag and drop editor. Constant contact is a valuable marketing tool, which help small businesses to grow and increase the success rate. 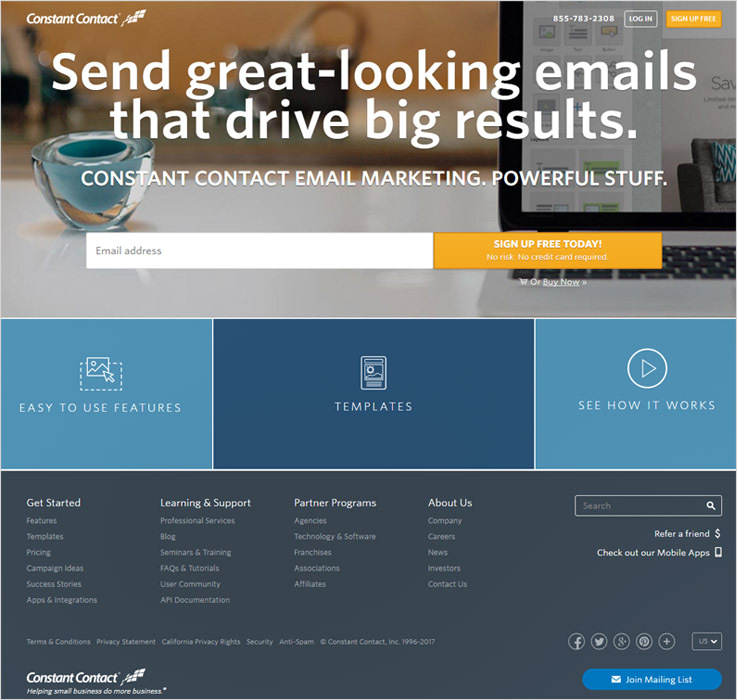 By using Constant Contact, you can create effective email marketing and different online marketing campaigns, which will help you to meet your specific business goals. With Constant Contact, you can automate all your process; there is no need to configure email-marketing services. It will help you to generate more and more leads and help you to manage your esteemed clients just as you would have imagined. It is available with professional email start along with customizable templates…. You can automatically send right messages at right time. Easy uploading of email list, through Gmail and Excel. Get your messages in front of people and also track your success in real time. Improve your business standards and increase profit using this amazing GetResponse theme. GetResponse is an intuitive and easy email creator. With help of GetResponse, you can build emails without a drop of code. It will allow you to send a large amount of emails to the people on your list. It provides free access to more than 1,000 images from available istock. GetResponse offer numerous extra features, flexible plans along with thirty-day free trial. It is easy to use and is available in low price, which make it affordable. Availability of Auto responder, which will help you in turning your leads into customers along with smarter automated follow-ups. One of the best learning centre where there are tons of downloadable guides and hundreds of videos for getting started. Accessibility of mobile apps for Android and iOS. 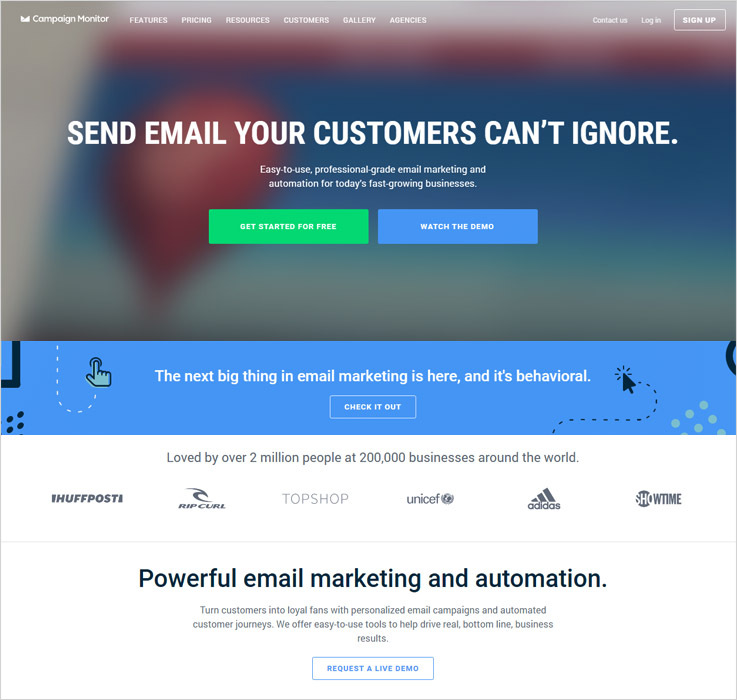 Benchmark is simple and powerful email marketing solution, which is specially, designed to create and send compelling campaigns. There is no need to configure email servers for sending hundreds of mails. Make use of benchmark service provider, which will make sure that you will easily send a lot of mails without facing any kind of difficulty. Email automation is one of the best feature of benchmark that will help you to send many mails to audience you want to target. When it comes to pick a tool for sending e-newsletters, there are different marketing tools available in the marketing. However, choosing one of the best is quite difficult. 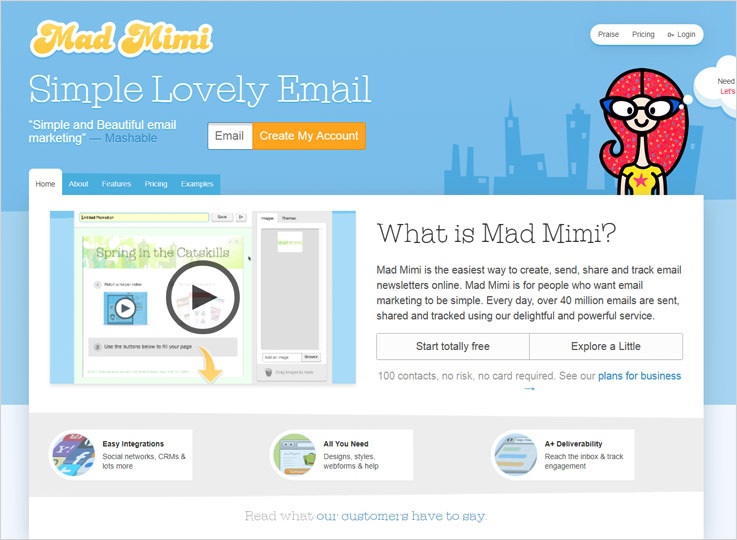 Madmimi is an easiest way used for creating, sharing, sending, and tracking email newsletters online. Madmimi will let you to create professional emails. It is specially, designed for those people who want email marketing to be simple and easy. More than forty million emails are shared, sent, and tracked with the help of powerful and delightful Madmimi. Streamsend is, focused in delivering and developing technology solutions, which will fulfil the needs of users. Streamsend offer affordable, easy-to-use and dependable marketing software solution which will help your business to grow and will help in making money. By making use of streamsend, you can control your sender reputation and will provide with the freedom to email from your own IP address. One of the best things of Streamsend is that it is easy to use and is very cost effective. If you want your emails to look professionally and elegantly designed then go for Campaign monitor. It will help you to easily manage different client accounts and host powerful templates. With so many different email marketing service providers in the market, it is quite difficult to choose one of the best, which will fulfill your requirements. Campaign monitor is perfect for your marketing campaign. Use Campaign monitor, which is available with drag-and-drop email builder facility. It also offers facility to choose template as per your choice from hundreds of professionally designed templates. ConvertKit offers services, which are affordable and easy to use. It is most popular in email marketing world because of the quality of email marketing services they offer. ConvertKit allow you to send perfect sales sequence to each subscriber. 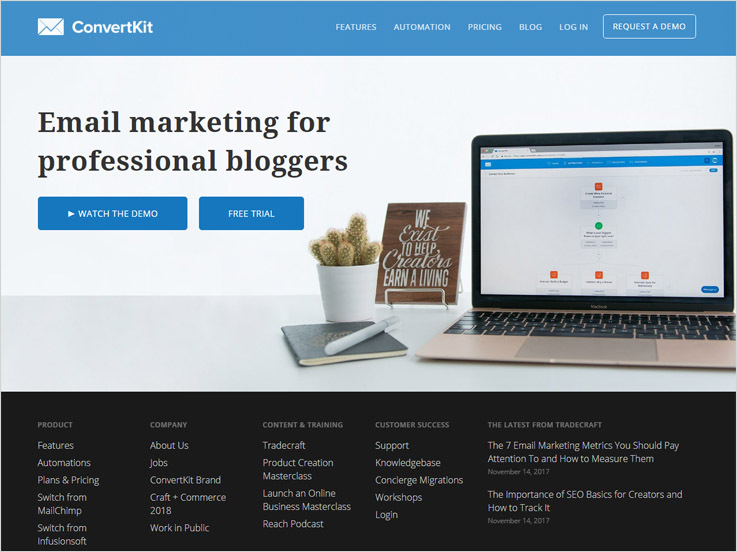 By making use of Convertkit make a profitable email list which will help you to boost your business profit and quality of service, which you will offer. 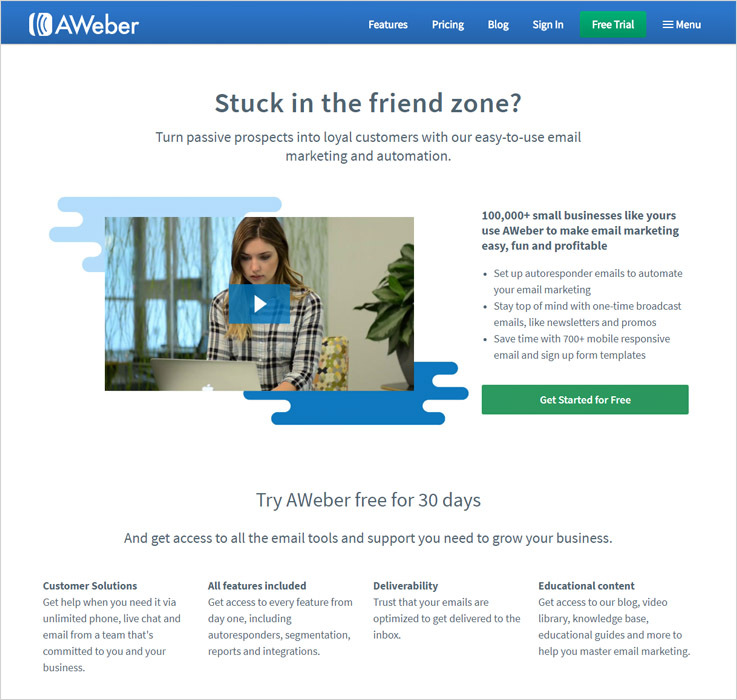 Aweber is a new email automation platform, which will help you to built relationships with different subscribers. It will not only give you a chance to get connected with your users through their own personal inboxes, but with beautiful templates, automated campaigns and reports will let you know how well you are doing. It offers one of the best and easiest ways to automate your mails with new drag and drop editor. Build your list quickly along with amazing looking mobile-responsive sign-up forms. InfusionSoft offer an amazing sales and e-mail marketing platform to small businesses, which include customer relationship management, lead capture, marketing automation etc. 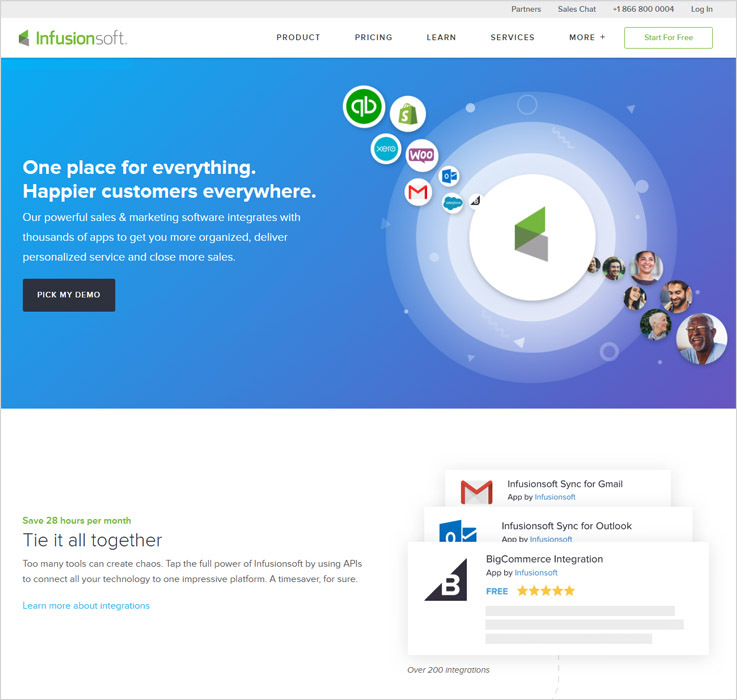 By using InfusionSoft built a better connection with leads and users. It will let you to be in touch with both clients and referral partners. Boost your business profit by providing quality of services to your users using InfusionSoft. It will help you to grab the attention of viewers and make them your permanent service users. Email marketing is a powerful channel for almost every e-commerce business. Email marketing is the best form of direct marketing, which make use of electronic mail as a means of fund-raising messages and communicating commercial to an audience. By making use of above-mentioned email marketing services, you can easily improve the profit of your business. 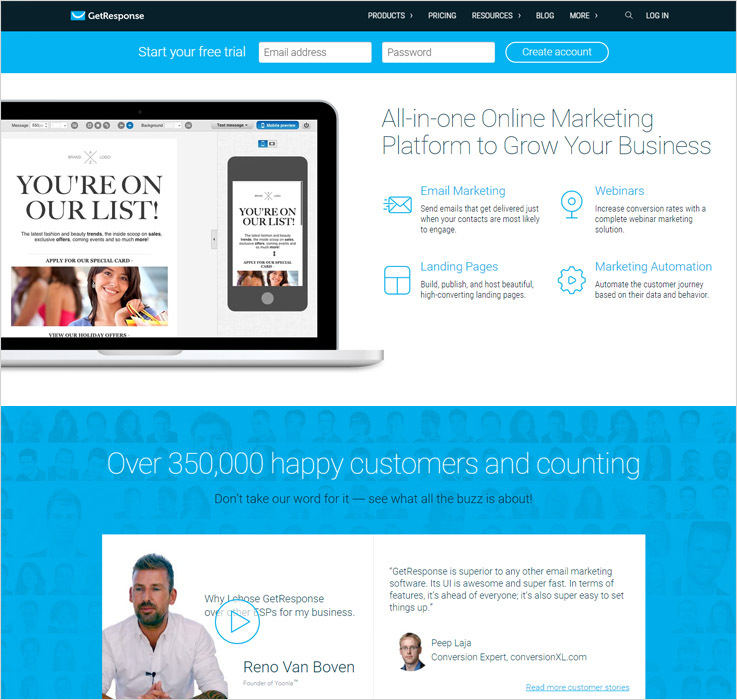 Nice comparison, though GetResponse has landing page builder and also marketing automation feature.